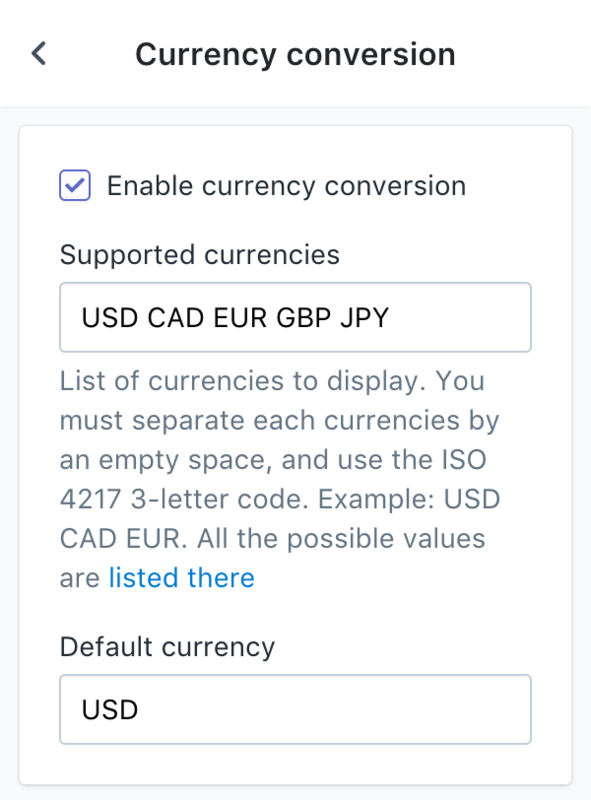 As of today, Shopify does not support accepting payments in multiple currencies. What our themes are doing are simply converting the amounts from the main currency to another using the daily exchange rate. At the end, the customer will still be billed in the main store currency. 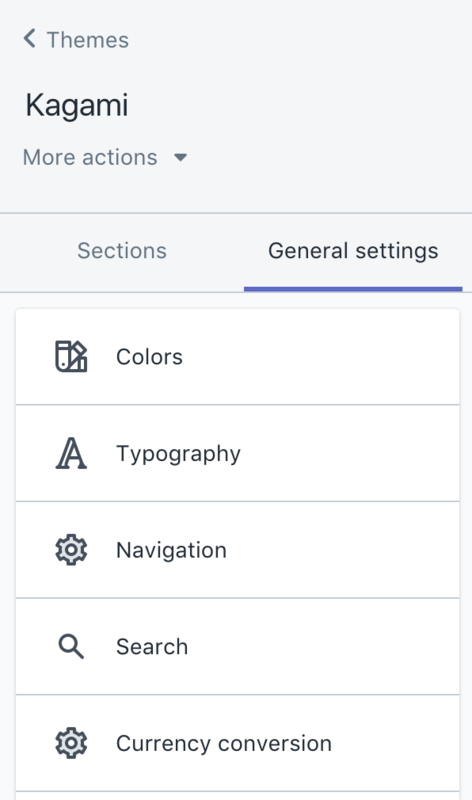 All of our themes integrates a built-in currency conversion feature. As a consequence, you do not need to pay for an app for this feature! Click on the section called "Currency conversion". Contrary to some paid apps, our native current conversion do not offer automatic detection based on the visitor's country. If you are interested in that kind of features, please have a look at the various apps available in the app store.